In mid-November, Michael Bloomberg, the former mayor of New York City, gave a record $1.8 billion to his alma mater, Johns Hopkins University. The donation will support undergraduate financial aid at the University and is the largest-ever single gift to a U.S. university or college. Though Mr. Bloomberg’s gift may be record-breaking, it isn’t an entirely unique occurrence – these so-called mega-gifts have grown in size and frequency in recent years. Giving USA 2018’s annual report on philanthropy revealed that giving to tax-exempt organizations in the U.S. grew by 5% to $410.02 billion in 2017, and the Chronicle of Philanthropy reported that three of the top ten largest gifts were more than $1 billion. Michael Bloomberg made his $50 million gift in 2016, but he had been on the Museum of Science’s radar for well over a decade. That’s because the development team identified Mr. Bloomberg as having a strong affinity to the Museum: he grew up nearby in Medford, MA and wrote about his love for the Museum in his autobiography; he hosted his mother’s 100th birthday party at the Museum; and, while delivering a speech at the inauguration of the Greenway in Boston in 2008, Mr. Bloomberg spoke of how the Museum of Science fostered his passion for science and engineering as a child. Joan Hadly, the Museum’s Sr. Vice President of Advancement at the time, knew that Michael Bloomberg’s love for the Museum made him a prime prospect for engagement. Furthermore, Mr. Bloomberg had a long history of philanthropy and was part of the Giving Pledge, a commitment by the world’s wealthiest individuals and families to dedicate much of their wealth to giving back. The Museum’s leadership recognized Mr. Bloomberg’s potential importance to the institution’s future. Ioannis Miaoulis, President of the Museum, endorsed and supported substantive efforts to connect the strategic vision for the Museum with opportunities of significant interest to Mr. Bloomberg and Bloomberg Philanthropies. That support continued as the Museum’s Advancement leadership transitioned to Ellie Starr in 2015. Honor the donor by asking them to play an important role: In 2010, the Museum’s leadership asked Michael Bloomberg to be an honorary spokesperson for their $250M capital campaign and used multiple videos of him speaking in support of the campaign as kickoff, promotion, and wrap-up pieces. All major donors also had the opportunity to meet him personally. This put Mr. Bloomberg in a more proprietary position with the Museum. He became its de facto volunteer spokesperson. Publicly recognize the donor’s connection to your organization and mission: In 2014, the Museum asked Mr. Bloomberg to deliver the keynote address for its newly renovated Charles Hayden Planetarium, and recognized his distinctive contributions to STEM education with the Washburn Award (the Museum’s highest honor), which at the same time was bestowed upon Sir Timothy Berners-Lee, the founder of the internet, and Richard Saul Wurman, the creator of TED Talks. The award further aligned Mr. Bloomberg’s philanthropic accomplishments and passions with the Museum’s mission and positioned him with other world-recognized leaders in science and education. Use a personal touch: Jim and key development staff members built important working relationships with Mr. Bloomberg’s staff. They made sure to send a note for any significant events in Mr. Bloomberg’s life, as well as his staff’s, whether it be a political accomplishment or a birthday. Mr. Bloomberg was also informed in advance of any significant events, achievements, or milestones that occurred at the Museum. Treating the Bloomberg team and Mr. Bloomberg himself as part of the Museum’s “inner family” led to more transparency and trust between the two entities, which is a critical element of the complex relationship management required to achieve a transformative gift of such magnitude. It took many years of discovery, over 8 years of direct communication, 10+ gift proposals, and numerous rounds of negotiations before Mr. Bloomberg committed to a $50 million gift to the Museum of Science. 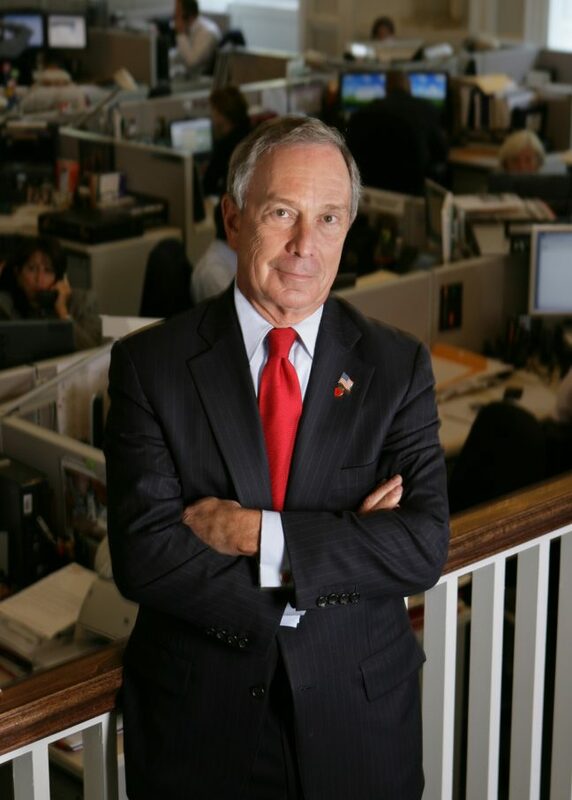 Throughout the process and to this day, the development office was responsible for maintaining diligent contact with Mr. Bloomberg and his staff and orchestrating leadership meetings, conversations, and public and private communications to ensure that both the Museum and Bloomberg Philanthropies were in strategic alignment. This approach resulted in the crafting of the ultimate proposal that provided the most important avenue for Mr. Bloomberg to give to the Museum. Additionally, through in-person visits and regular correspondence, the Museum continues to communicate the impact of this gift and how it’s used. This diligence and clarity, coupled with flexibility, patience, and the Museum’s vision for the future, enabled the Museum to secure its largest-ever gift. Naturally, each organization’s donor opportunities vary based on numerous factors including the strength of its mission, evidence of its leadership and impact, and its historic relationship with its philanthropic partners. Likewise, each donor capable of transformative giving is unique as will be the path to securing a top priority position in their philanthropy. That said, we believe these guiding principles can be highly effective in helping other non-profits to secure transformational mega-gifts. Development Guild has under management more than $1 billion in client campaigns. Learn more about our nonprofit campaign counsel services here.